Karate uniform, or gi, is usually made of canvas. The most usual color is white, and often has no zippers and buttons. Its jacket is worn overlapped. It’s tied like a kimono, with its pants held up with canvas drawstring. This is perhaps the best known maker of high-end karategi in the world. 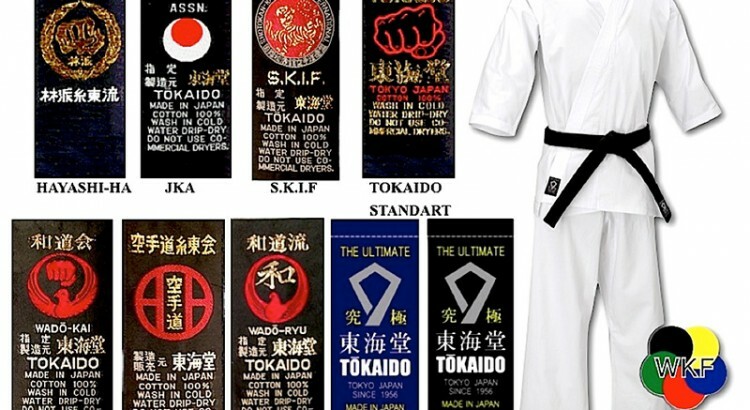 It is also one of the oldest karate uniform manufacturers. It has been selling karategi for nearly six decades, with its headquarters in Japan. Tokaido karategis are known for their quality and durability. The uniforms are hand cut and sewn from fabric. But because of its good reputation, Tokaido uniforms can be very expensive. For instance its tournament gis would cost you more than $200. The rival of Tokaido when it comes to durable, quality and high-end gis is Shukeido. This company based in Okinawa, Japan retails duck canvas, heavy weight gis with a familiar pale blue color. Its gis are priced in the $200 to $300 range. Tokon is called Kamikazi in Europe. It is an old, trusted German brand that should not be confused with the Kamikazi brand in the United States. Its tournament line is a bit wider and shorter compared with the traditional cut. It also has a line specifically designed for various stances like Wado-ryu and Shito-ryu. Prices are in the $150-$200 range. One of the newest brands of karategi uniforms, Meijin has underarm gussets and waistbands that have cotton gauze designed to prevent bunching. It also offers split sizes, which allow karatekas to match a jacket to pants of another size. While it is not as popular nor as tested as Toko and Shureido, it is getting a lot of rave reviews. Its karategis are in the $100 to $200 price range. Toyo is another Japanese brand like Shureido and Tokaido. Like the former, it is made of No.10 canvas. Its karategis are treated to resist shrinking, which is a common complaint that users have about all-cotton gi. It may not be as famous as Shureido and Tokaido, but it still is highly regarded for being durable and good quality. This is a German brand that started out making tae kwon do uniforms before producing karategis. It has various karategis—traditional cut, kata, kumite, and premium gis. Most of its karategis are made of a characteristic brushed cootn that is crisp and soft against the skin. Its karategis for tournament wear are approved by the World Karate Foundation. Its gis are sold for around $100. Century has middle weight and heavy weight gi. It makes use of a non-traditional yet comfy elastic waist on some of its karate uniforms. It also has cotton/polyester blend and split sizes. However it should be pointed out that the jackets of Century gis are shorter than the traditional Japanese gis. These are also cut for Americans. Depending on the quality and features, the gis are priced in the $100 to $200 range. Jukado International has the Juka and Dragon karategi lines. The former is the more expensive gi designed for advanced karatekas, while the Dragon is designed for the student gi. The Juka gi is available in 12 and 14 ounce brushed canvas, both traditional and tournament cuts. The Juka gi sells for more than $100 while the Dragon karategi is less than $100. The company also offers a gi cut for women called Juka Diamond. This company isn’t really known in the United State but is quite popular in Europe. It has a very reasonably priced 100 percent cotton gi that weighs 12 ounces and designed for tournament use. The cut of the said gi is very similar to Toyo but the Mugen uniform is around a hundred dollars cheaper. Arguably the most familiar brand in this list, Adidas isn’t really the best name for traditionalists. But the younger karatekas may not mind wearing an Adidas karategi at all. Its Master Kumite gi is made of lightweight material consisting of 55 percent cotton and 45 percent polyester. It comes with an elastic waist and the familiar Adidas logo on the right chest. It may not be traditional but this gi has gotten the nod of the World Karate Federation. While the brand of karategi can influence your shopping decision, you should also take into consideration other factors before buying a gi. For one, you should get a karategi that is comfortable to wear. The size should be a bit loose as you will be doing a lot of movements. If you are to attend an event like an assessment then you can prioritize look over comfort. Still, buying a karategi of a good brand is recommended as it can assure you of good quality and reasonable price. It would appear that this entire article was plageurized, almost verbatim from two weeks earlier, published by livestrong.com on January 30,2016. Dude- at least write using more than five of your own words if you’re going to take someone else’s list. Awesome that you put this out there as your own without giving credit.